In a recently-released email by WikiLeaks, a top Apple official is seen engaging in what appears to be a pay-to-play situation with the Clinton campaign. Lisa Jackson — Apple’s Vice President of Environment, Policy and Social Initiatives — told John Podesta that she and Apple would be “happy” to play a “public role” in getting Hillary Clinton elected following the former secretary of state’s siding with Apple in the wake of the San Bernardino massacre, an email published by WikiLeaks on Tuesday shows. The email chain, dated December 20, 2015, begins with Jackson thanking Clinton’s campaign chairman for the “nuanced stance” Clinton took on “encryption and the tech sector,” during ABC’s Democratic primary debate on December 19, 2015. One of the questions during that debate centered on the San Bernardino terrorists, and Apple’s standoff with the FBI over whether or not they would help unlock the terrorists’ phones. Not long after this cozy email, Jackson and Apple CEO Tim Cook proceeded fundraise — to the tune of millions of dollars — for the Hillary Victory Fund. Most notably, Jackson and Cook co-hosted a “$50,000-a-seat” fundraiser on August 24, 2016. The nearly 400 guests in attendance could purchase tickets at three different donation levels: $2,700, $10,000 and $50,000. 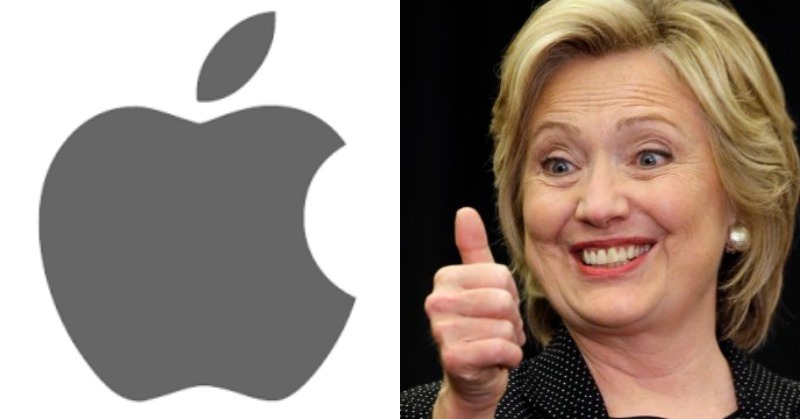 Addtionally [sic], Clinton’s “Tech Agenda” uses language that virtually copies language used by Cook in his defense of Apple’s struggle against the FBI, Apple Insider reports. Sounds an awful lot like bribery, doesn’t it? They like what she said and as long as she keeps it up, they’ll raise millions of dollars for her campaign. Not only that, she mirrors the position of those raking in the big bucks. But that’s just a coincidence, huh? C.E. Dyer is a Christian, common sense conservative writer who is dedicated to writing about the issues the mainstream media would rather bury.